At EPIC Primary Care, we provide superior quality care for patients with chronic conditions who need to be monitored closely for changes in their vitals and general health condition. Most of these patients are on a long term use of high risk medications. What are High Risk Medications? High risk medications are medicines that can cause significant harm to patients if misused, administered in a wrong way, or due to incorrect dosage. These medicines have a narrow therapeutic index; this means the gap between the efficacies, or desired effect of the medicine and a lethal or toxic dose is very small. Even a slight increase in the dosage could lead to toxic levels of that medicine’s concentration in the body, and cause death of the patient. 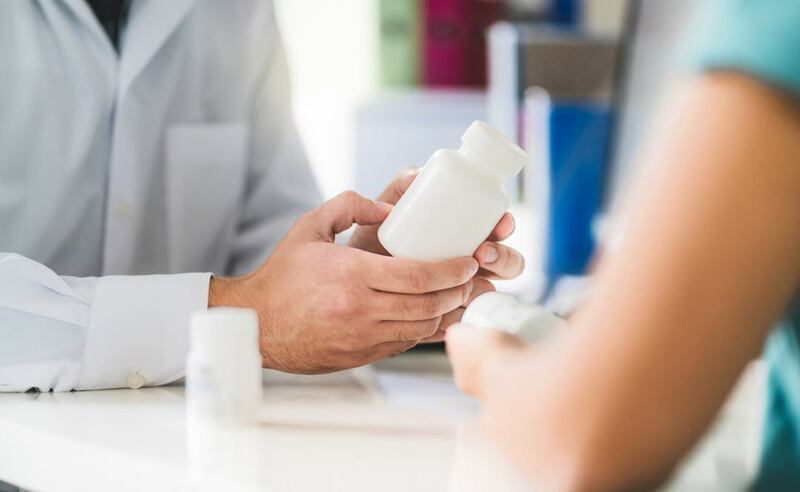 High risk prescribing happens when certain medications are prescribed to patients who may not be able to tolerate the medicine due to an existing health condition. For an example: non-steroidal anti-inflammatory drugs if prescribed to patients with GI risk factors without GI protection. Most of these medications are prescribed to patients suffering from chronic conditions, such as diabetes, heart diseases, hypertension, metabolic syndrome, dementia, COPD, and so on. In many cases it so happens that patients don’t take their medicines on time, or take other medicines, usually over the counter, which interact with their regular medicines. This causes complications; in fact, some studies have found that roughly 4% of hospital visits are caused by preventable drug-related morbidity. It is therefore extremely crucial that high risk medicines and patients taking them should be closely monitored and regularly reviewed to avoid such complications. Often, a patient may be unable to take the medication due to lack of a support system, such as inability to travel or pickup medicines, forgetting to take them because of mental health issues, and others. In such cases, patient support becomes imperative across different levels – transport, home care, reminder services, and more. At EPIC, we provide all these services as we believe that the patient’s health and the overall outcome are paramount. The combination of increased implementation of EHR, clinical decision support, performance feedback and interventions from pharmacists can help to reduce prescribing outcomes and improve patient outcomes in primary and urgent care. At EPIC Primary Care, we follow the ACT or Advanced Care Team model of healthcare. We have an entire team of healthcare providers consisting of physicians, dieticians, pharmacists, exercise physiologists, diagnostics technicians, and assistants as necessary. This helps us treat not just the symptoms, but also enhance the general health condition of patients on the whole. The ACT model enables us to go deeper than the symptoms seen on the surface for determining the potential and current health issues a patient may be faced with, and conduct comprehensive diagnostic tests to identify the best treatment plan. EPIC Primary Care has all these services available in-house: we have most major diagnostic equipment and full time in-house dieticians and exercise physiologists. Recently, we also started the EPIC Pharmacy. So, now patients can get 360° care in one place– they don’t have to visit different places looking for the different services. The patient has increased access to information and can stay abreast about their condition, treatment, outcome possibilities, etc. There is greater collaboration and better communication between clinicians, dieticians, and pharmacists, leading to improved overall care, near-zero errors in prescription filling, and so on. The patient is throughout in a familiar, caring, comfortable environment. As the patient undergoes thorough investigation, underlying health problems can be easily detected – early detection offers better possible outcomes. Our pharmacists and pharmacy technicians are integrated with our Advanced Care Team clinicians. This way, the patient is closely monitored, and it helps to decrease the complications and side effects of vascular medicines and other high risk medications. As patients can easily reach out and connect with our pharmacists and technicians, they are in a better position to remove all doubts surrounding the timing, dosage, interactions with other medicines, and the right method of taking medication. Most of these medicines are required to be taken for a prolonged period, often at least for several months and in many cases even years. It is crucial that the patients are regularly tested for signs of improvement or deterioration – because in either case adjustment needs to be made to their dosage along with changes in their diet and exercise regimens. At EPIC, our team-based approach helps us accomplish all of this and ensure that a patient has better health outcomes not just in the present, but also enjoys optimal health lifelong. If you know anyone who has to take high risk medications, or you need to take them yourself, schedule an appointment with your EPIC Primary Care physician today. We will create a detailed treatment plan for you to ensure you get the best health services and the appropriate medicines for better results. This can ensure that you enjoy optimal wellness throughout your life.